Suddenly, the sound of synchronized cracking whips break the silence. 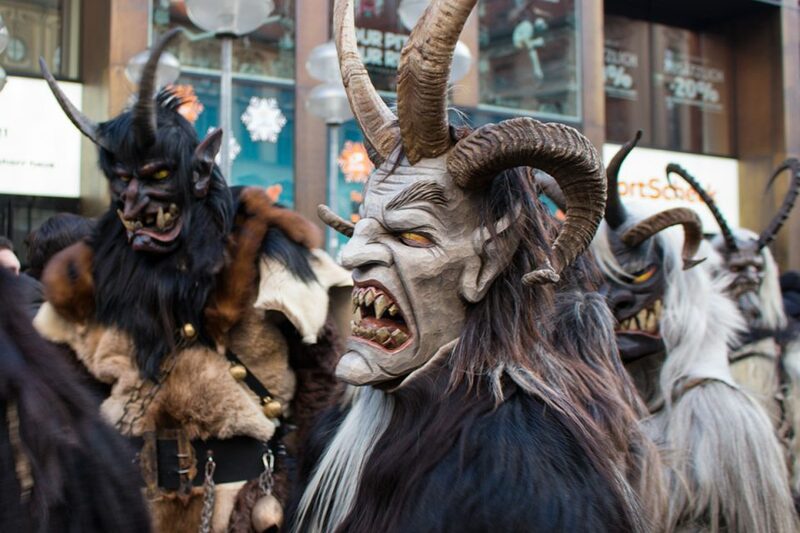 Groups of Krampus and Perchten, Christmas devils and fur-clad Alpine monsters armed with bundles of twigs, rush into the crowded streets. The fiendish Christmas beasts dance through the crowds chasing rotten children and whipping them with stinging bundles of twigs. Adults laugh and stuff themselves with gingerbread as children run screaming in all directions. Yeah, Christmas in Germany has a bit of an edge. Apparently, nothing says holiday cheer here like monsters with whips. You can almost hear Rihanna caroling, “Sticks and stones may break my bones, but chains and whips excite me.” But seriously, there is a dark side to Germanic Christmas. Dozens of local variations play on the theme. Sometimes, Saint Nicholas is accompanied by a fiendish dwarf or monster. Other times, Saint Nicholas carries the whip himself. In parts of Switzerland, Schmutzli scoops kids up in a big sack and dumps them in the forest. Thomas’ grandmother used to warn him that the Belzmärte would get him if he didn’t behave. Hilariously, that is the word for Santa Claus in his dialect Schwäbisch. Yikes! 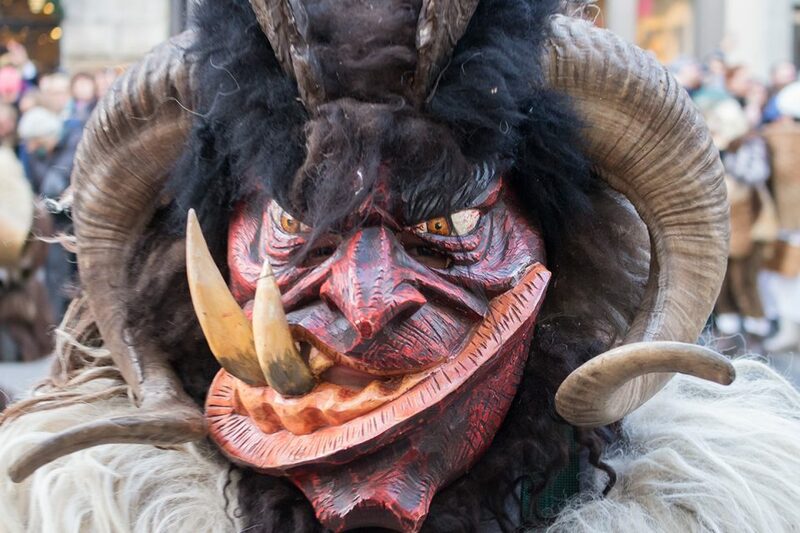 The Krampuslauf is filled with amazing pre-Christian traditions and ancient tribal dancing. 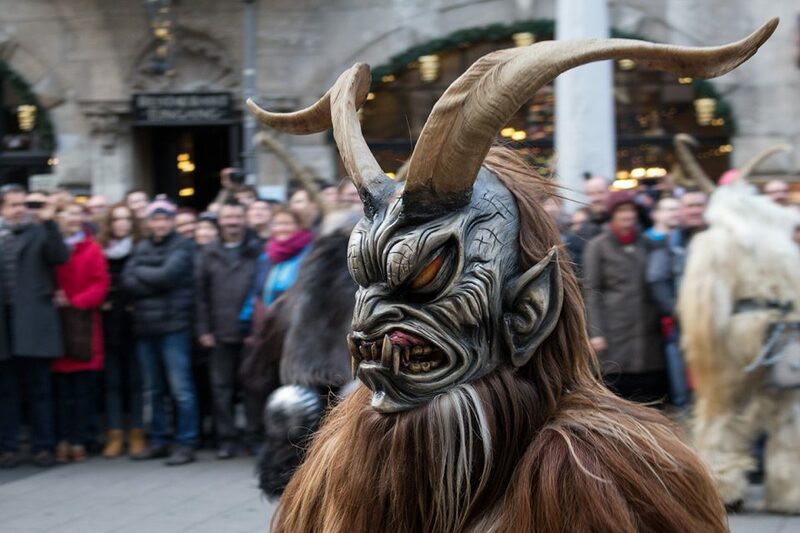 Locals dressed as the Krampus or Perchten wear devil masks, elaborate costumes made of goat and sheep skins, and headdresses topped with antlers and ibex horns. But pay attention. In all the chaos, it is easy to lose an eyeball to a hyped-up dancer. And drunken participants occasionally get a little carried away. 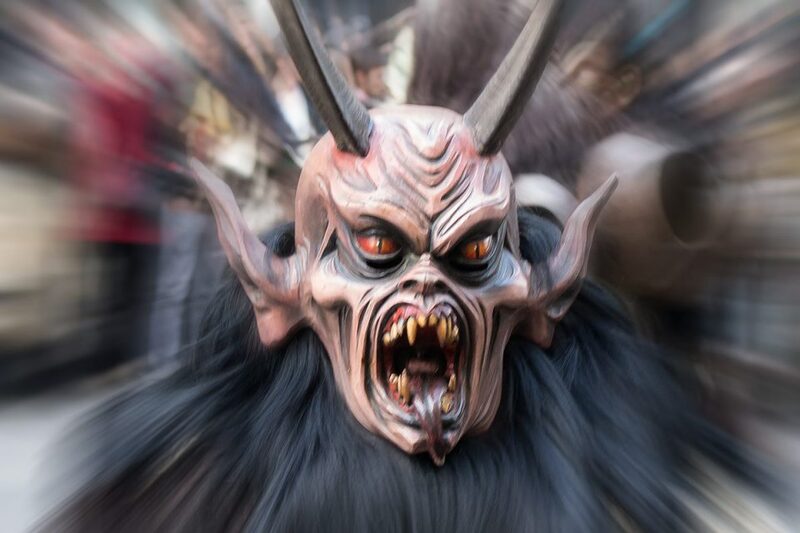 Check out what happened at the Krampuslauf in Salzburg when some kids ended up in the hospital with broken bones! But hey, what’s Christmas without a bit of fear and Satan-like imagery, right? If that weren’t enough to convince you, don’t forget the Christmas markets full of lebkuchen (German gingerbread), chocolate-covered fruits, germknödel (steamed dumplings filled with plum mousse), candied apples, glühwein (hot, spiced wine), bratwurst, potato pancakes topped with apple sauce… and every other treat you can imagine. But while you are munching on flammlachs (fire-roasted salmon) or puzzling over the dessert called Nonnenfürzchen (Nuns’ farts), take a moment to think back over the last year. Were you a good little boy or girl? Remember, in Germany the price for bad behavior is no lump of coal. If you were naughty rather than nice, get ready to run when the Krampus shows up with his bundle of twigs. When to Go – Christmas markets in Munich open at the end of November and close on Christmas Eve, at the latest. 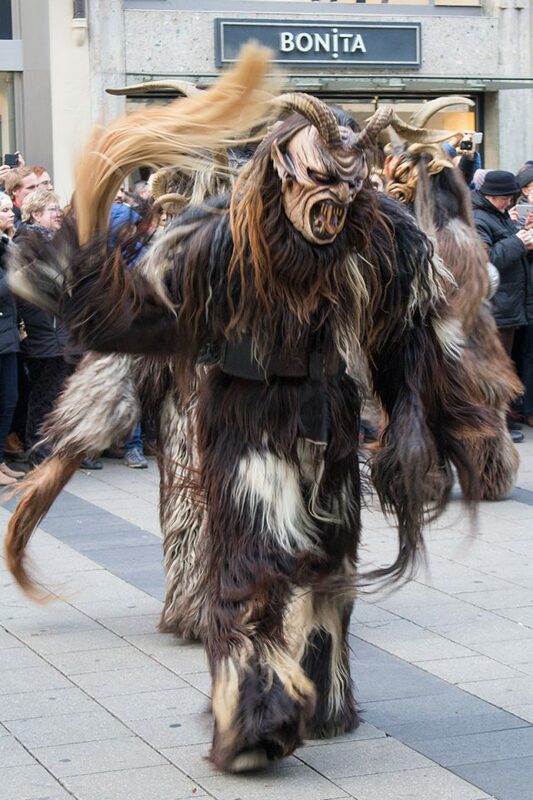 The Krampuslauf usually happens twice in December with dates and times announced each year on Muenchen.de. Accommodation – Munich has plenty of options for hotels and guest houses. We recommend searching for great Munich hotels on HotelsCombined.com, a site which finds the best deals for you across numerous top hotel booking sites, including booking.com and agoda. If you stay in Munich more than a few days, we recommend booking an apartment through Airbnb. 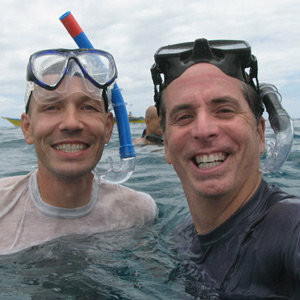 If you haven’t used Airbnb before and you click through this link here, you get a credit toward your first stay. The amount varies, but it’s usually between $30 and $40. Not too bad. Tours – Munich boasts two dozen Christmas markets all over the city including one at the airport for visitors flying in. 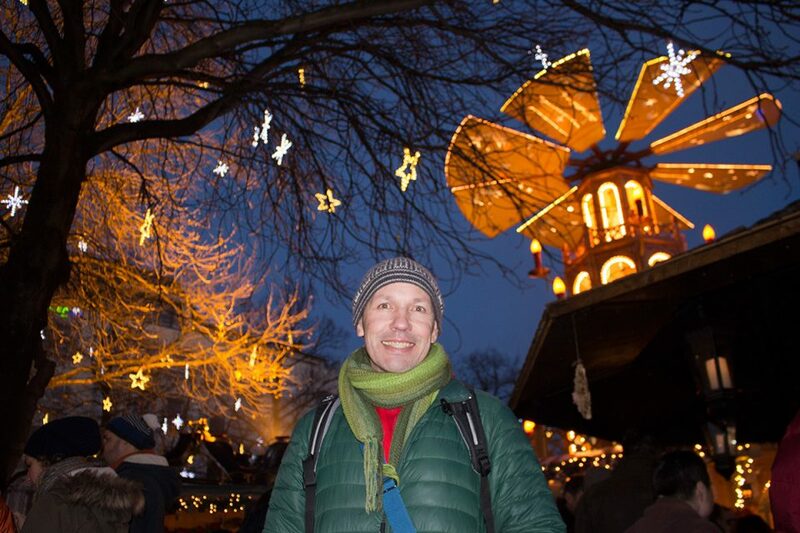 If you are looking for a guided tour, Viator offers a 2-hour Munich Christmas Markets Tour to soak up the holiday spirit. You will be visiting several Christmas markets and learn about German Christmas traditions. If you prefer a self-guided tour, visit Muenchen.de for a list of Munich Christmas markets. Guidebooks – We like to travel with Lonely Planet guides. They are great for historical and cultural information, maps, walking tours, highlights, and itineraries. For Munich, we recommend the Lonely Planet Munich, Bavaria & the Black Forest , or the Lonely Planet Germany if you are planning to travel to other parts of Germany. If you prefer a more visual guidebook, we recommend the DK Eyewitness Travel Guide Munich & the Bavarian Alps or the DK Eyewitness Travel Guide Germany . Do they do this in other cities like Berlin? They do is in towns and cities in southern Bavaria and western Austria. Elements of these traditions exist in other areas as well, but they are nothing like the krampuslauf tradition. Just Google the term krampuslauf and you can find planned dates associated with particular towns and villages. Munich and Salzburg are the most obvious locations for most travelers. Can I see this in December or is this festival already over? You will have two chances to see this in 2017: On Dec 10th, 3-5pm and Dec 17th, 4-5pm. It’s best to wait around Marienplatz or along Neuhauser Str. between Karlsplatz (Stachus) and Marienplatz.